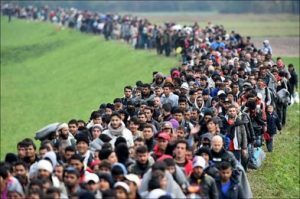 HomeCOMMENTARYBrexit – Will The EU Collapse Anyway? It is impossible for anyone who even occasionally visits the news to ignore just how dramatically the world has changed in the last 10 years. The epicentre of the crumbling world order that we have all known was the global financial crisis. It literally shook the foundations of the Western world and the institutions that upheld it – and today they are now falling down one by one. Will the European Union be one of them as its own existential threats continue to mount? Political systems such as democracy are now known to be failing the world over to some degree or another and all of a sudden, many of us have started to wonder about a world without those structures we took so much for granted. Unfortunately, others have embraced this new found fragility more eagerly than others and with frightening consequences. It, therefore, should come as little surprise that the past decade has been assessed as a period defined by systemic dysfunction and political change. As we enter the next decade, this dysfunction will characterize the momentum of a decade’s worth of disruption and one regional area of change will undoubtedly be the European Union. There is no point in researching material for this article with the assistance of the hatemongering MSM rags typified by the likes of the Daily Mail, Express, Telegraph, et al. We have looked at many articles, periodicals and predictions – and there has been for some time a growing belief amongst many in the financial and geopolitical environments that the future prospects of the European Union is at best ‘challenging’ but more likely dismal. At this precise moment, the EU is united in this approach and Britain is indeed preparing to fall to its knees. However, the truth for the future of the EU is not just about Britain where its own prospects look far worse than even some of the most pessimistic had predicted. That the document exists at all is a sign of the increased tension in the global system, especially within the EU. What is alarming is that within the report, even this scenario is already regarded as ‘over-optimistic.’ The belief from within the German establishment is clear – that the EU will quite simply not survive. Just a month ago, Politico.eu reported that the French Economy Minister Bruno Le Maire said that Europe is in “a state of decomposition – it’s falling apart before our eyes” – he said. And typical of the general theme in this article, Le Maire spelt it out: “member countries are closing in on themselves, trying to find national solutions.” Various meetings have since been held between the French and German finance ministers and the reality is that they (and therefore their governments) do not see eye-to-eye. In fact, Macron’s proposals have been flatly rejected, not just by the German political elite but by the electorate. 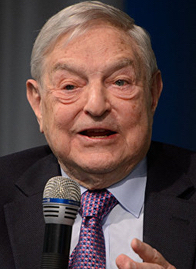 Business Insider reported back in May that Billionaire investor George Soros publicly stated that Europe is in the midst of an “existential crisis” and it is at genuine risk of ceasing to exist as we currently know it. And Soros, like so many, predicts the fracturing of Europe, but not necessarily a collapse. “Instead of a multi-speed Europe, the goal should be a ‘multi-track Europe’ that allows member states a wider variety of choices. This would have a far-reaching beneficial effect.” Since his assertions back in May, just three months ago, the EU project has declined further as populism, protectionism and isolationism has become ever more prevalent in more EU member states. Virtually no country will be left untouched by the rising social, political, cultural and economic tensions throughout the (European) Continent. But under this continued instability will lurk a perhaps more troubling development: Germany, concerned with the EU’s disintegration and anxious about the economic calamity it could portend, is going to have to work harder to keep the bloc together. GF takes the view that the writing in on the wall for the EU. It is suffering from multiple structural problems the elite have fundamentally failed to recognise or deal with effectively. Europe’s problem is no longer primarily its economy – it is a crisis of trust. The European middle and lower classes have lost faith in the elite’s ability to effectively manage the economy and to understand the cultural tensions that have emerged. Large segments of the population will be disaffected by economic inequality, and there will be little the EU can do about it. The consequence is the GF forecasts that trust, not just amongst people but amongst EU nations, will continue to erode and that friction between them is inevitable. “What we can say is that our forecast for Europe is one of continuity: National and regional movements will continue to erode the social, political and economic systems in Europe.” Don’t forget, this prediction is for this year only and has so far been right on the button. CapX monitors thousands of news sources, blogs, academic papers and think-tank publications to find the most important facts and trends. Their view is just as grim. Then there are those who physically backed Brexit with their money on the basis that the European Union was not going to survive. Jim Mellon stood out among investors in 2016 as a public backer of Britain’s exit from the European Union. And the chairman of the Burnbrae Group forecasted another breakup. 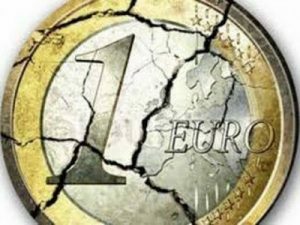 Mellon predicts the euro will become a future casualty of a rising anti-establishment tide, causing the currency union to splinter within the next five years. At this point, there are so many more pieces of evidence, heaps of opinion and predictions as to the demise of the EU. The fact is that the EU27 is indeed going through existential challenges. This has been brought about through the common themes that cause political change everywhere. The failure of neoliberal capitalism in Europe is the same reason why we have Trump in America, Brexit and a quarter of EU member states supporting right-wing populists. 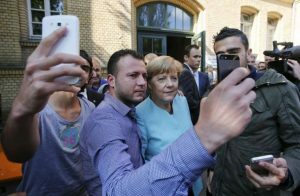 Immigration and the terrorism it imports is also a serious concern amongst the people of the EU. Corporatism, corruption, economic stagnation, a doomed currency, the threat of a calamitous recession are all serious threats as well. But by far, the biggest threat is the electorate themselves who have proved time and time again that they don’t like the fact that the EU is undemocratic. Any single one of these threats is an existential one and the likelihood of one of them happening is very high indeed, and Britain could then be well placed to profit from the disorder that brings!